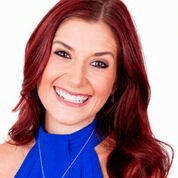 Ashleigh is a wonderful talent at de-mystifying all that confusing information out there and delivering it to you in a way you can easily understand. She is totally committed to helping you operate at your absolute best, endeavouring to motivate and inspire you with her ongoing high energy and knowledge. She strives to educate you on how you will benefit from a holistic approach to all aspects of your life, including increasing your energy and vitality levels whilst achieving and maintaining your correct body weight. Ashleigh’s passions as a Nutritionist include weight loss support and stabilisation, prenatal health and sports nutrition. Ashleigh experiences great personal satisfaction when sharing her patients ongoing successes with them and seeing the change in their confidence, happiness and general wellbeing. Her warmth and passion about the power of food fuels you to improve your own health and gain a long term understanding that you are what you eat. Ultimately Ashleigh is brilliant at motivating and encouraging you to achieve your own success and is committed to see you become healthy, happier, more confident and positive so you can live the life you deserve.